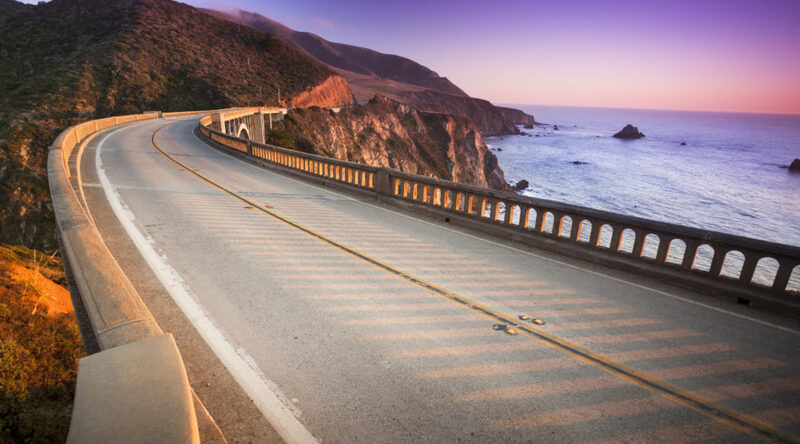 Road-trippers throughout California and across the globe can revive their dreams of a coastal journey along Highway 1. Fourteen months since a remarkably stormy winter caused devastating mudslides along the central coast near Big Sur, the last remaining section of the Pacific Coast Highway has been reopened, two days prior to Caltrans’ originally scheduled date. The mudslides that hit Big Sur in 2017 were no joke, shutting down stretches of the legendary Highway 1 at some of its most glorious points, and causing several businesses along the route between San Luis Obispo and Carmel to temporarily shutter. The $54 million project to rebuild the coastal route utilized new coastline that was created in the mudslide, with parts of the newly constructed section up to 250 feet west of where the former road passed. Though the road has been reopened since Wednesday morning, the project’s completion will be celebrated with a ribbon cutting ceremony near the Ragged Point Inn on Friday.